In this edition, we get to know Jane Caulfield. Jane has been volunteering with CFCR since early 2013, and has been the host of the Wednesday Buzz since the summer of that year. She also contributed her time to The Swing Shift for a brief period, showing her wide knowledge and appreciation of many genres of music. On The Buzz, she has interviewed a variety of musicians and other guests, and handles every situation that is thrown at her with a positive and professional attitude. Jane is always keen to contribute to CFCR off the air as well, pitching in at various fundraiser events, and even taking a spot on our Board Of Directors, where she currently fills one of our Member-At-Large positions. 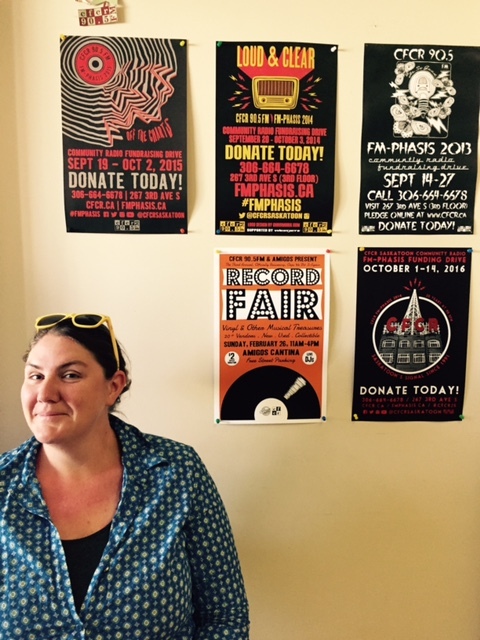 Not content to limit her generosity to the radio, Jane once gave a dresser to CFCR Volunteer Coordinator Kira, and she boasts that she went to high school with Dan Snaith (Caribou), so her indie-rock street cred is in good order as well! I'm always looking for local, alternative radio stations that promote local musicians as well as focus on what the Canadian music scene is doing. So, I heard about CFCR pretty soon after moving here (most likely from my sister). The question should be why wouldn't I? Why is CFCR important to the community? I suppose 'because it just is' is not a good enough answer...so let's just phrase it this way: CFCR is important to the community because it represents a voice and perspective that doesn't always have a home base. Does that make sense? I need more coffee. Once I fell out of the chair, while on air. But I think the craziest thing was interviewing a band who told me all about a bear that attended the previous night's show. They said it paid cover and ordered a drink and I thought they were trying to either make things weird in the studio or were trying to catch me up. Nope. Once they realized I wasn't buying it, they all pulled out their phones (on air) and show me photos of a man who brought a giant stuffed teddy bear to his show. It was hilarious and turned an awkward interview into a really memorable one. I'm a sucker for Hot Buttered Soul. Favourite local band: This changes regularly. Right now, it's a toss up between The Garrys and Waitress. 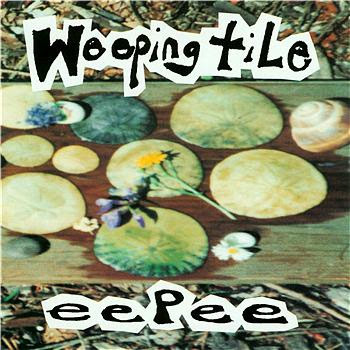 Favourite non-local band: I'm going to go with some classic Canadian rock and say Weeping Tile. I'm currently trying to run my own business and do my Master's degree. I don't know what free time feels like anymore. Although I did just join an ultimate frisbee team. Jury is out on if I still like it though - I'm more of a cardi-nope kind of gal. Pickles on a pizza is the best thing ever. You mean when I'm not studying and reading academic journals? Actually, I just finished Carsick: John Waters Hitchhikes Across America and it was exactly what I wanted it to be. Octoberman - "Run From Safety"